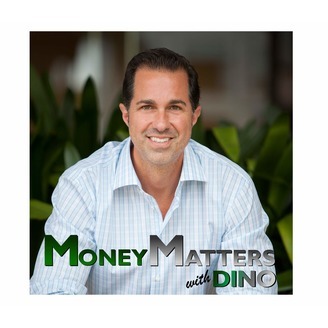 At Money Matters With Dino we’re all about bringing the top Financial, Legal and Real Estate professionals and their knowledge and experience to as many people as possible. We do this through our highly rated radio show, our social media and the information you’ll find on this website. Now, we won’t always know all the answers to every question ourselves, but here’s our promise to you. We will never stop searching out the professionals who have the answers you’re looking for and; in fact, will continue to compile a list of Trusted Local Professionals that we can personally recommend. Our TLP’s (Trusted Local Professionals) are rigorously vetted and always standing by to serve you so that you can feel comfortable that you’re getting the very best of the best. Let us be your advocates as well as the place where you come to gain knowledge and advice. Make sure you tune in, subscribe to our monthly newsletter and come back daily as we constantly update our content and programming to bring you absolutely the most cutting edge information. Sit back, relax and know that you’re in the right place at the right time. Remember, your future is up to you. From your estate to Real Estate, your money matters. 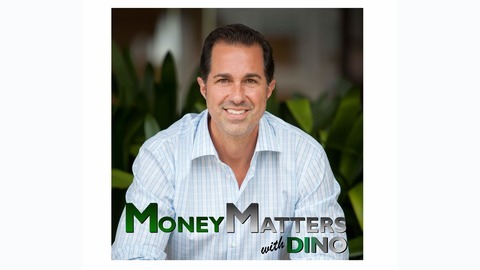 Today on Money Matters with Dino, Eric Morgenson from Angel Oak Mortgage Solutions talks with Dino Non-qualified mortgages. What is a non-qualified loan? Well simply, when the borrower's debt to income ratio exceeds more than 35%. If a loan is not done properly meaning the consumer does not have the income to repay loan, then the lender can be sued for the full amount of the loan, so lenders must be careful. Taxes are not a good indicator of income. A better indicator than taxes of someone’s income is bank statements and deposits. Add up 12 months of deposits minus the client expenses and divide by 12, that’s the income. These are not the same loans that caused the last recession, because there is no sub-prime credit. The loans are private money and interest rates are based on the risk to the lender. The more the borrower puts down and the better their credit score, the lower the rate. When considering Alternative Loans look at the dollar cost average over the life of the loan. What happens when there’s a bankruptcy? It can be as soon as 2 years out of a bankruptcy. There are even programs for foreign investors wanting to buy property.